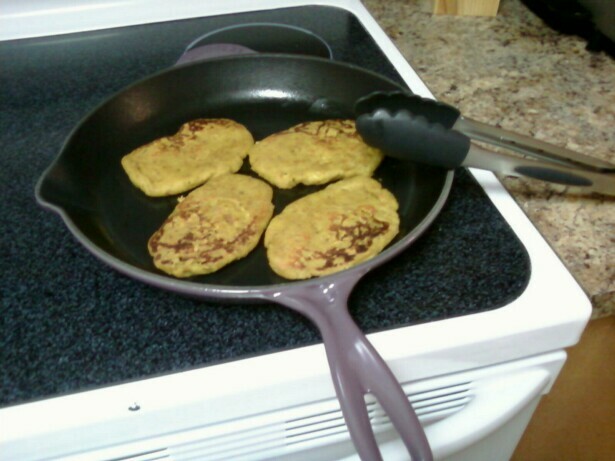 okay, so i’ve been meaning to try this recipe for what is essentially chickpea seitan, the veganomicon chickpea cutlets, pg 133. since i had to make some bread crumbs in my food processor anyway, i made the entire recipe in there by switching to the dough blade. i started with 1 small piece of toast and pulsed it until i got fine crumbs. this really worked out because it gave me the exact amount, 1/2 c. that i needed. 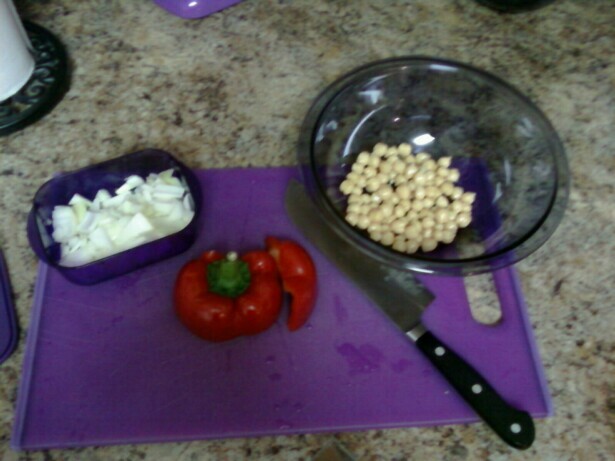 after setting those aside, i added the chickpeas and oil and pulsed until they were thoroughly mashed. 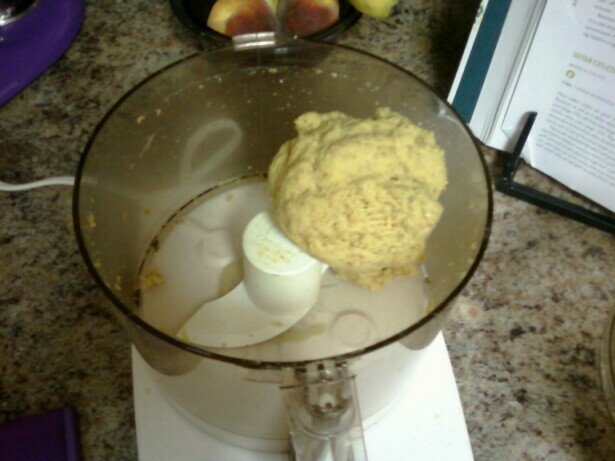 at this point i switched the metal blade for the dough blade, and added all the other ingredients. (subs: i used shoyu for soy sauce, lemon juice for zest, and turmeric & cayenne for the hungarian paprika) this worked really well, and i could definitely see all those strings of gluten. 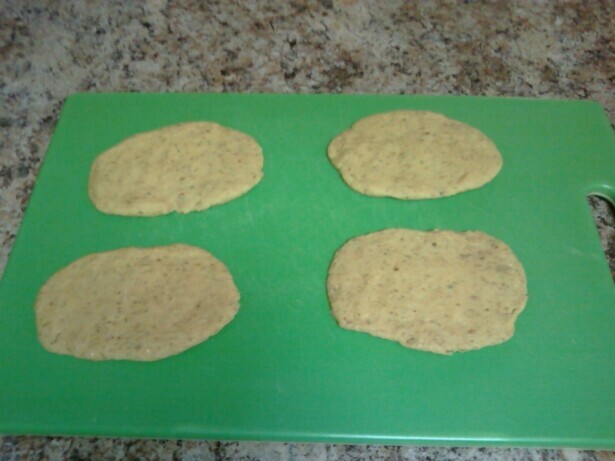 from here you just divide the dough into 4 patties, and pan fry or bake. instead i used my new large skillet sprayed with olive oil, and this worked well. 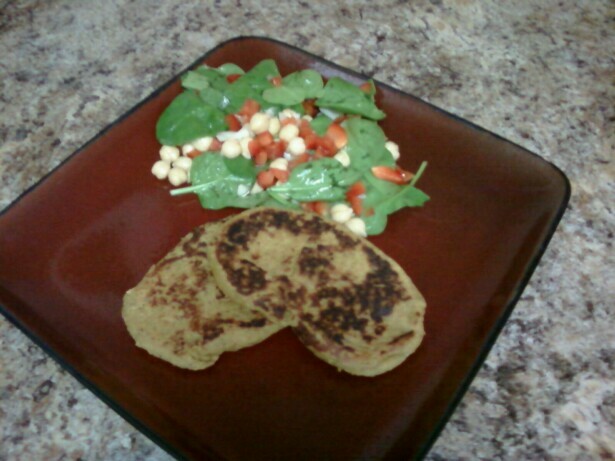 side salad: recipe called for 1 c. of cooked chickpeas. i used a 15oz. 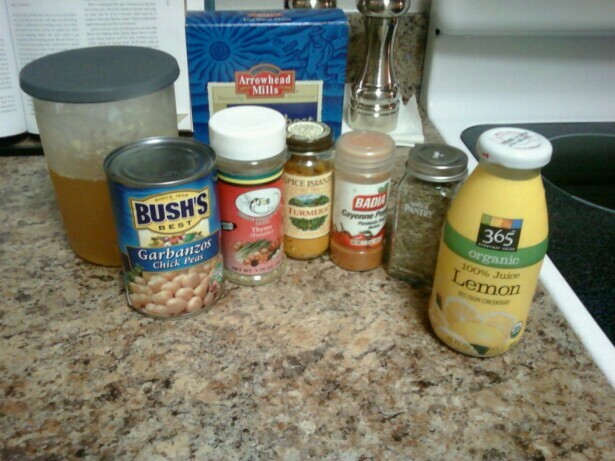 can, and saved the extra for a side salad. 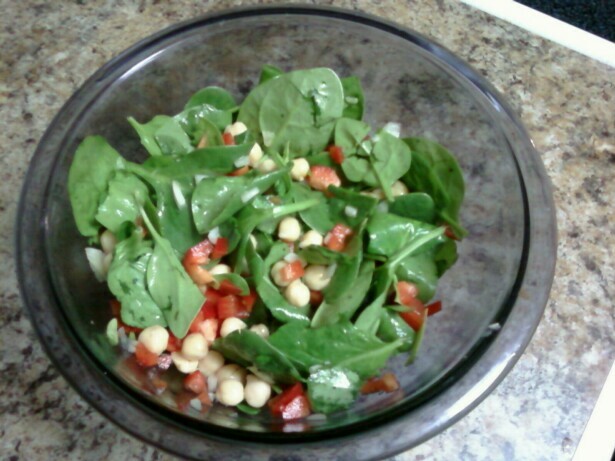 to the chickpeas i added chopped red pepper & onion, spinach, and sprayed it with a little olive oil, splashed some white balsamic vinegar, and salt & pepper.